Softberry Bacterial GenomeSequence Explorer provides the visual representation of bacterial genomes annotations and possibility to work with several genome annotations simultaneously. - Downloading loci onto a local disk or in browser in Genbank or FgenesB formats. 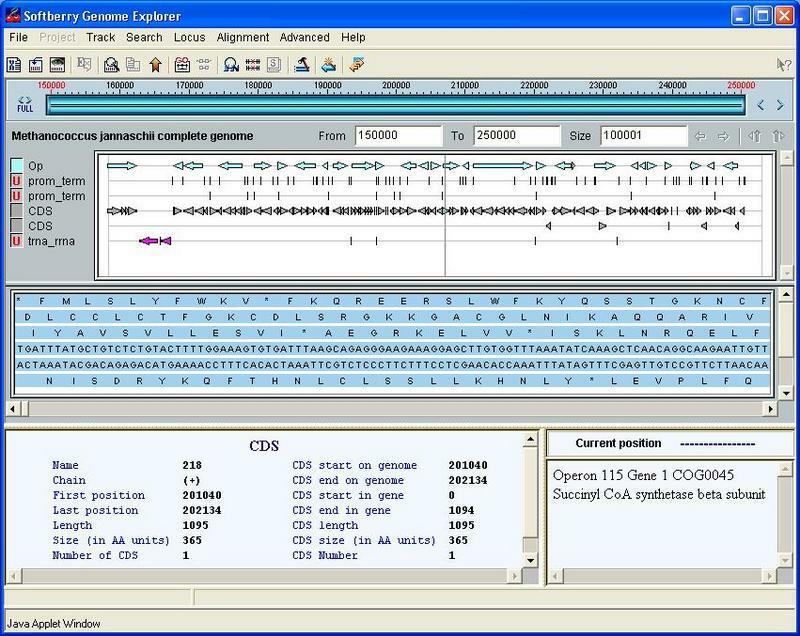 Softberry GenomeSequence Explorer has a wide set of navigation and search features that are adopted to specific of application area and user's requirements.